JPay partners exclusively with MoneyGram to provide you with a wide array of options and locations to make your cash payment. When you need to send money to your incarcerated loved one, or when you need to make a community corrections payment, JPay and MoneyGram help you make your cash transactions quick and easy. 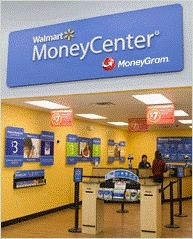 JPay’s partnership with MoneyGram means that you can make a cash payment at more than 27,000 MoneyGram agent locations in the United States at retail centers in your neighborhood like Walmart and CVS/pharmacy. Each MoneyGram agent is equipped with a list of JPay receive codes, to make sure the cash you send gets where it’s supposed to go. Visit your MoneyGram location. Remember to bring valid personal identification, such as a driver’s license. Complete the blue ExpressPayment service form, including the appropriate receive code and account number (the account number is the inmate ID# plus the inmate’s last name, no spaces). Hand the form to the MoneyGram agent along with the money you want to send plus the transfer fee. You will receive a reference number. Keep this for future reference. Payments and Money Transfers post to the facility the next business day, or sooner.